OXID eXchange | Magic 360 4.3.14b | Stable | EE, PE | 4.0.x - 5.3.x - produkt | Module, Themes, Language Packs direkt herunterladen! Display your products from every angle! 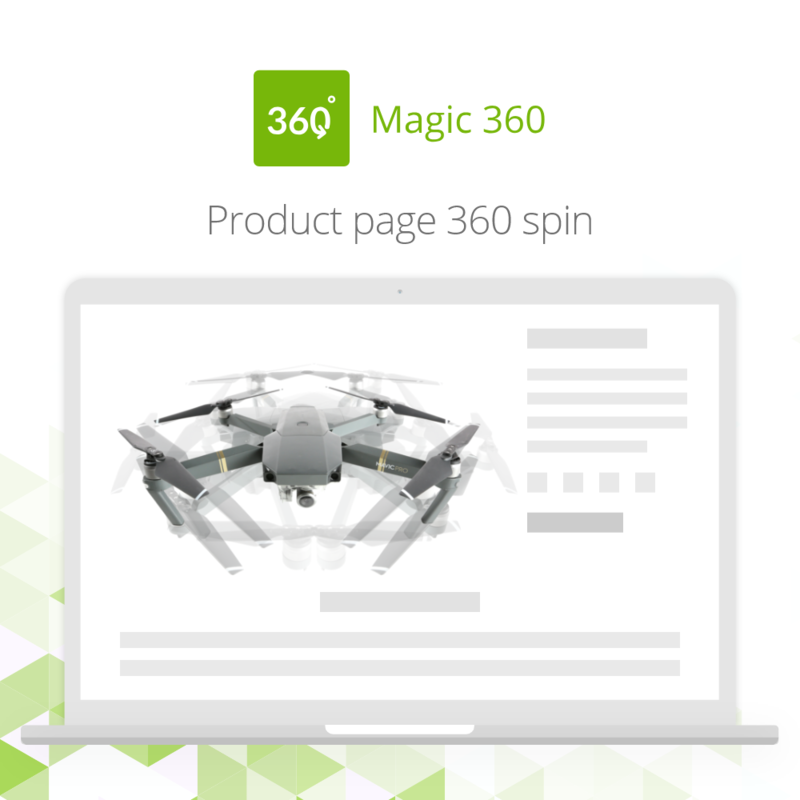 Rotate images in 360 degrees so your customers can see exactly what they are buying. 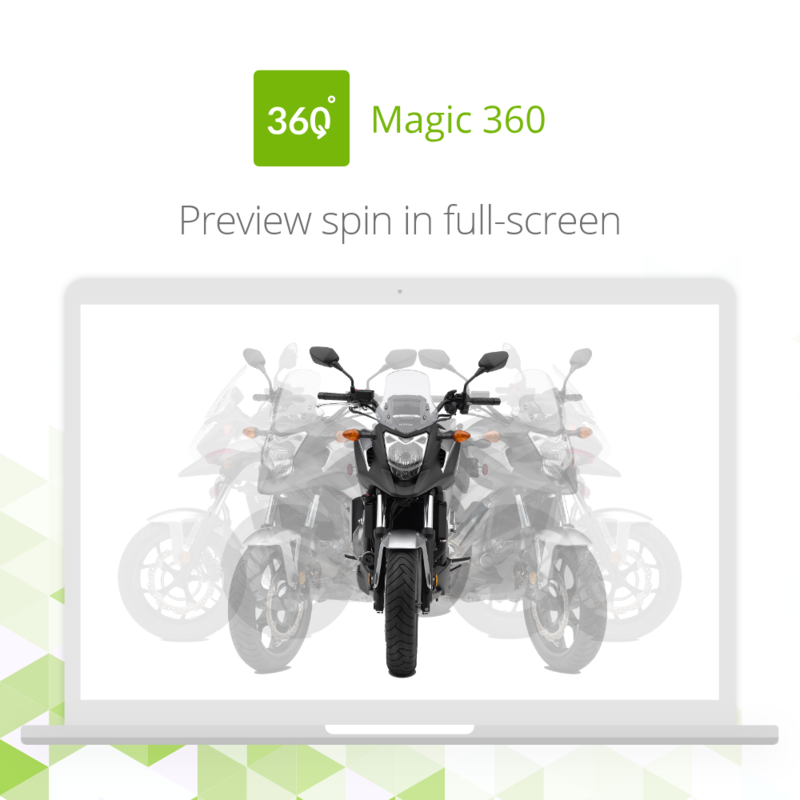 Viewers love Magic 360 because it is fast, responsive and works on all browsers and mobiles. Spin your products around - they will almost look real. Your conversions increase, so you'll sell more. You'll have fewer cancelled/returned orders. Responsive, to perfectly fit every browser on any device. Mobile optimised, to automatically work on iOS, Android and other mobiles & tablets. Zoom-in to images to inspect fine detail. Full-screen enlarge for a stunning big view. Buy Magic 360 for OXID eShop. Unzip the extension and upload the magic360 folder to your server, keeping the file and folder structure intact. Go to your website, with /magic360/ after the domain e.g. http://www.yoursite.url/magic360/. You'll see the welcome page. Click 'Install'. Change any settings, if you wish. Go to: Master Settings -> Magic 360 Settings menu.